I grew up in a house of teachers. Each Christmas my parents would bring home a few odds and ends like ornaments or coffee cups with cocoa mixes in them. 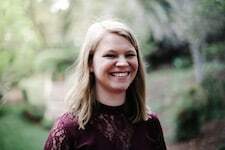 As a Physical Education instructors, it was such a treat as they would many times get overlooked simply because they weren’t the classroom teacher. Back when I was an educator, Christmas rolled around and I got one simple $5 gift card from the most unlikely student. No matter how small or unlikely, it has stuck with me through all these years. It made such an impact to know that student and her parents recognized that I played at least some sort of role in her life. And that still means a lot. With Jenn being in kindergarten, I want nothing less than to make each person that is a part of making her every day happen feel recognized, honored, and special this holiday season. From making a thoughtful sign for the school principal to the lunch ladies to the office staff to the nurse… they’re all people within the school that help orchestrate something wonderful for our students. Plus, Jenn has 7 teachers (homeroom, the aide, art, music, gym, library, and Spanish). And it could get really expensive very fast. 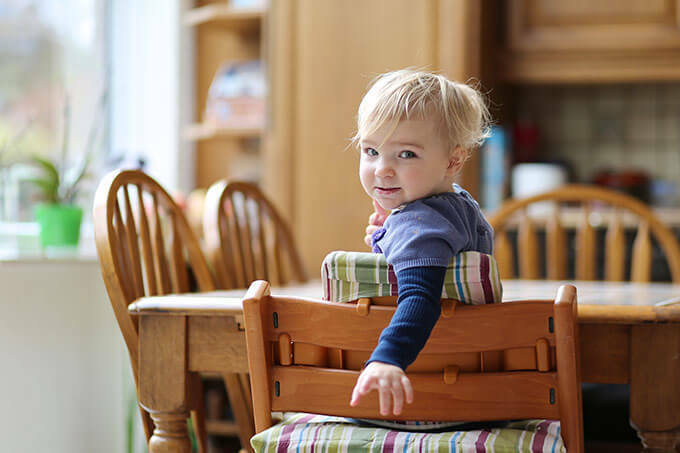 First and foremost our family desires to be a blessing. And everyone, especially teachers, can use permanent markers. 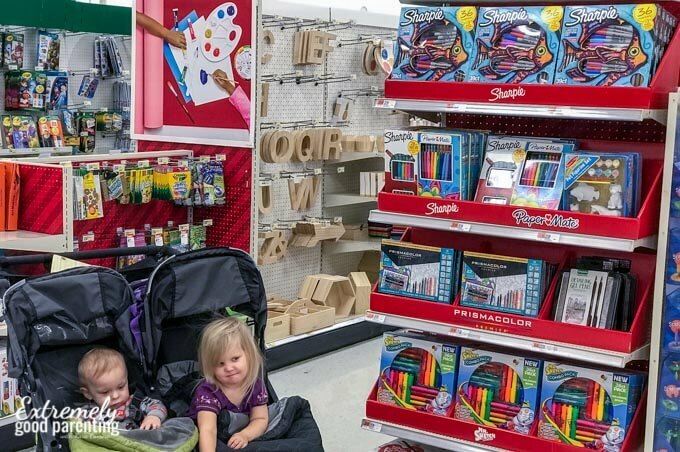 Therefore, our first stop was to head to Target and pick up some cute gift packs of Sharpies because there are so many colors and they’re full of gifting possibilities for every teacher. Until December 23, you can save $10 with this offer both in store and online, making teacher gifts that much less of a burden to your Christmas budget. We grabbed one set with the extra metallic pens to be able to be able to add some sparkle to a coffee mug and snagged some colorful felt-tip pens because I personally loved to grade papers with those back in the day. Of course, the art instructor would love them. The gym teacher could label equipment. Plus so many other possibilities for every teacher. Once we got home, we designed a few printable cards and started creating. A few cute, but inexpensive gifts to color and wrap up like a coffee mug or tote bag! My daughter and I started brainstorming, printing, designing, and crafting. 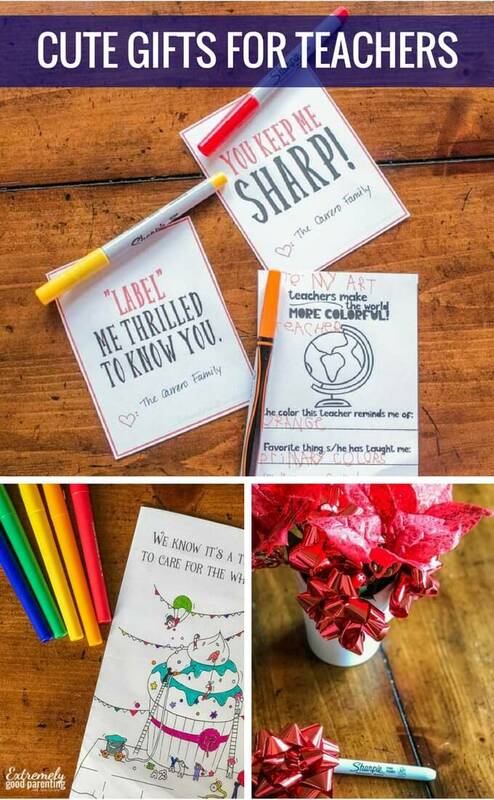 We planned a few phrases like “You keep me sharp!”, “Label me glad to know you”, and “Teachers make the world more colorful!” Find free templates at the bottom of this post. We also thought about each teacher she had and I asked her what color they reminded her of. Then she filled out the tag and attached the color they were to the card! This is memorable and meaningful since every teacher gets to have a personal message about what has made an impact but also what color they represent (and maybe even why). 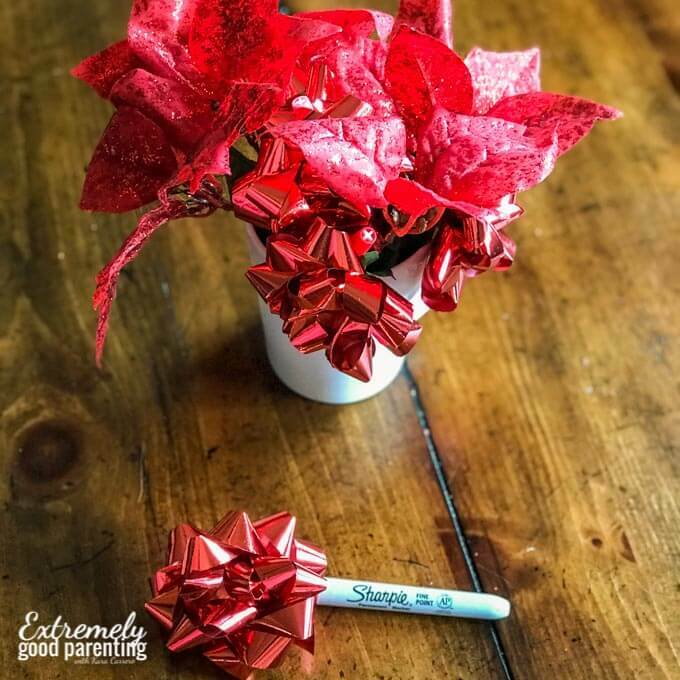 This is a great gift for kids to help make too because it’s easy and the bright and bold colored pens make a great gift for teachers and aides! Simply take some gift wrap bows, undo the sticky sides, and slide that inside the pen clip and wrap the sticky around the pen. When placed in a decorated coffee/tea mug (because we all know our kids’ teachers are fueled by caffeine) with some other flowers, the bows look like sparkly blooms. 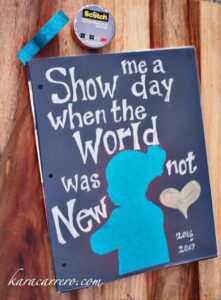 It’s also a great way to give a variety of colors or maybe even just stock up on red pens and Sharpies. 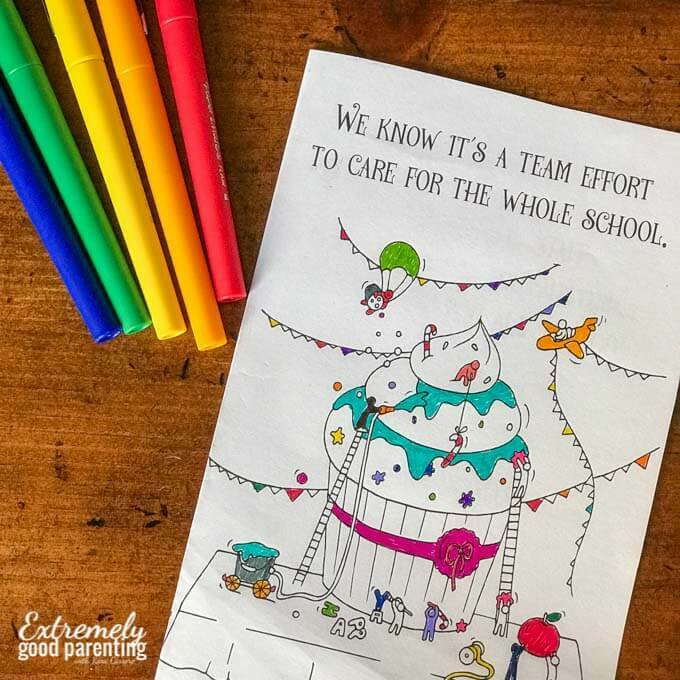 We used an assortment of colors of the Papermate felt tip pens to color in coloring this heart-felt card to the school staff. Our family recognizes all they do in order to make each day work and they serve our children so dutifully that we didn’t want to miss showering them with gifts and colorful writing utensils. 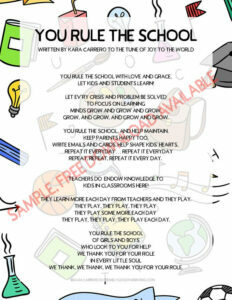 Download the printables to fill out, decorate, and give to teachers! Finally, after picking up your Sharpie gift packs, don’t forget to snag your download. It’s 100% free, just enter your email and they will be sent straight to your inbox. Plus be sure to comment below with a picture of your OWN final product. I love to see how they turn out! 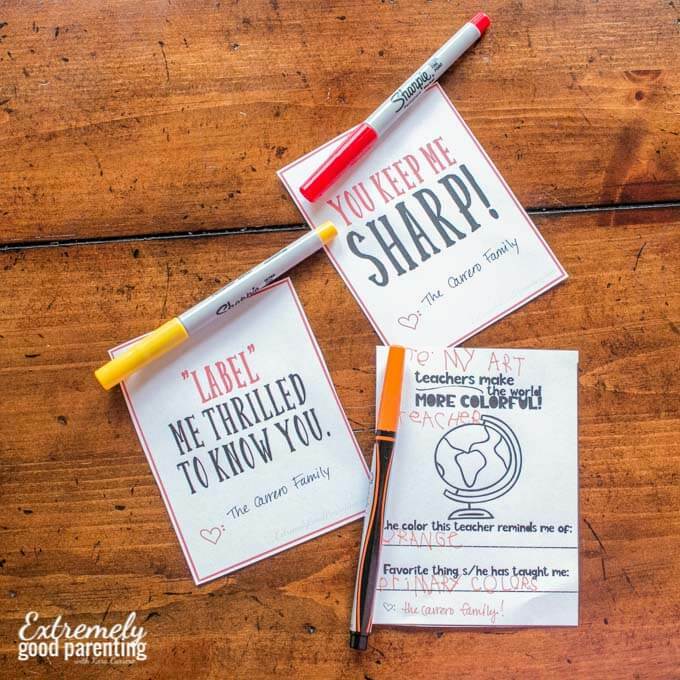 Yes, please send me the free teacher printables!